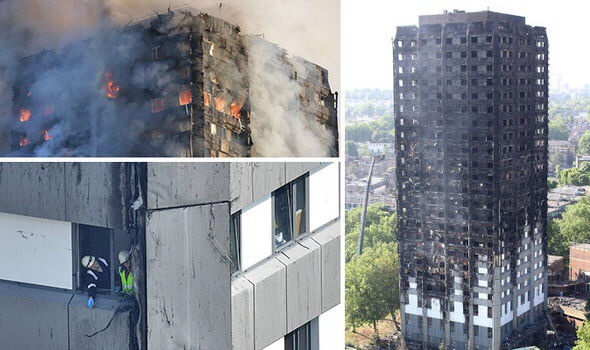 In 2015 a £10m project was started to refurbish Grenfell Tower. Last week the the Tower burned down, killing an as yet unconfirmed number of people. The Kensington and Chelsea Tenants Management Organisation (KCTMO) had hired the construction firm Rydon as the lead contractor on the project. This included re-cladding the building with material that commentators are now alleging was a factor in the fire’s rapid spread. There were at least eight other contractors and sub-contractors involved in the many elements of refurbishment and providing materials fro the project (see how complicated this was by clicking here). How on earth was the local council, responsible ultimately for social housing in its midst, was able to supervision of this project? It’s a rhetorical question, of course. The real answer might be in the specialism of the French-owned firm Artelia, who were hired to be project managers for the refurbishment, and who apparently specialise in ‘cost management’. By the way, before I get into explaining the real topic for this blog I want to predict that whatever inquiry they have now, they will never actually get to the point where they are able to pinpoint direct blame on any person or company for this disaster. Which is why I think it is time to consider looking at he overall ideology behind what happened. The basis of ‘contracting out’ work that used to be actually taken on and managed by the what were once highly renowned architectural departments within local authorities. But it was decided a while ago now that it was ‘inefficient’ to have these kinds of specialisms within the public sector. Why not put out projects like this to ‘competitive tender’, allowing private companies to compete to get the work. This would increase ‘efficiency’ by the competition reducing the cost of the work that had to be done, and allowing specialist firms to do jobs that they are specialised at. In the case of Grenfell Tower, the winning bids were probably the lowest bids. Having been granted a fixed price contract to provide a service or to do a job, the companies involved could increase profit only by cutting costs. Let’s take the refurbishment project of Grenfell Tower. Rydon, the main contractor, completed the £8.6m refurbishment. The contract was initially priced at £11.27m. A sub-contractor, Harley Facades, reportedly installed Reynobond PE cladding, an aluminium panel with a polyethylene core. It is £2 cheaper a square metre than the fire- resistant Reynobond FR (the clue is in the FR). Cutting costs can mean improving productivity or finding cheaper but just as high quality raw materials. Or, as I fear the case of Grenfell Tower, demonstrates, it’s just finding cheaper raw materials and doing a shoddier job. Sometimes, this can lead to work having to be done again. Sometimes, this leads to death. I am not saying that contracting out of all public services should be stopped forever. I warn Jeremy Corbyn and his team not to suggest going that far, or nothing will happen. Instead, there needs to be a sensible conversation on what is safe to contract out, and what isn’t. In the world of efficiency for the taxpayer, there are limits as to what costs we are prepared to pay. I usually find I m in total agreement with you, but in this case I have to disagree as their is no indication that the private sector cut corners. On a job such as this the client K&C is expected via their engineers to decide on the materials of construction. Therefore either K&C decided to stay within bld regs and specify the the PE based material – a permitted but tragic decision or the private contractor went against the K&C spec and installed a cheaper material. As the drawings appear to clearly show the PE based material was used then K&C must have been aware of and therefore approved the use of this material. I fear therefore this is a public sector failure to respond to previous accidents of this type and tighten regulation.